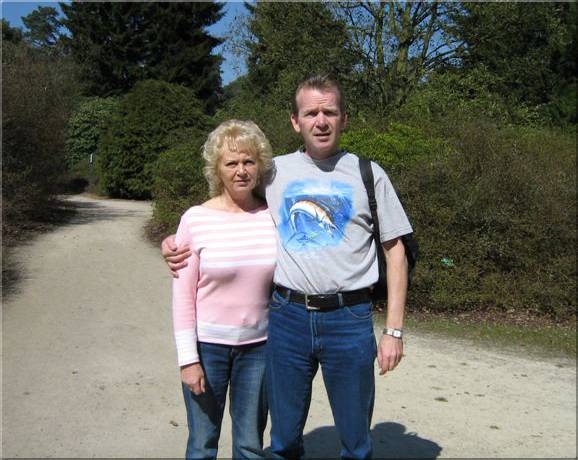 We are Andre and Maggy, from Valkenburg ad Geul. 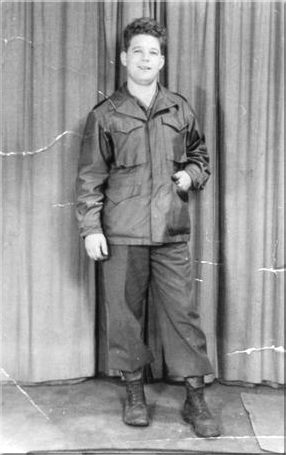 Andre always has had a genuine interest in the Second World War, and Maggy found out in her childhood years that her father was not her biological father, but her real father proved to be an American soldier who was billeted in Valkenburg ad Geul for some time in the waning days of the war. 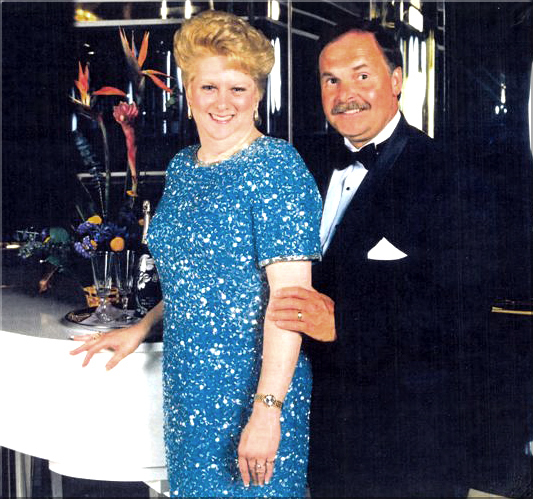 Maggy´s biological father was an American named Samuel Riedel From Passadena near Baltimore in Maryland. Her mother was married and so was her father, but as happened more often in those days, they met each other and from this relationship little Maggy was born on 22 July 1945. Thus Maggy is considered to be what sometimes is called a ´Liberation Child`. In the years after the war the subject was considered not to be talked about in Maggy´s family, but with the help of the Dutch television show `Spoorloos` (Trackless), she was able to find her relatives in the U.S., in particular her sister Joann from Stevensville, Maryland. You can watch the (Dutch, partly English) Spoorloos broadcast at the following link : KRO video on demand . Just go to the option "zoek in archief", go to "programma", select "Spoorloos" and the year 1997. Then look for Maggy and watch the entire broadcast. Her father knew of her and even had a chance to see her as a baby, but since everyone around her kept this knowledge secret to her, she started her search years later. When everything about her real father was known - Samuel Rieder passed away three years earlier - we were eager to find out more about Samuel and what he did in the war, because that was a subject which was not much talked about in the Riedel family. 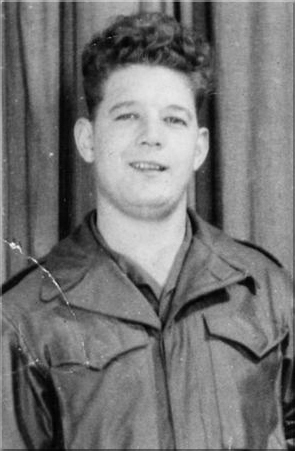 We discovered that he served with a bakery company, baking numerous breads for the troops, but he had the rank of TEC/5, so he must have had a specialty like welding e.g. He also repaired vehicles in the war, which was exactly what he did while in Valkenburg for a couple of months. 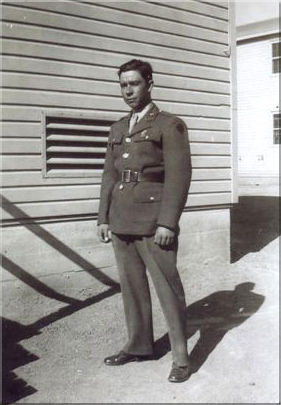 He went into Service at Fort George G. Meade in Maryland on 10 July 1943 and was assigned to the 275th Baker Company, which, while in England was renamed to the 3023 Quartermaster Bakery Company. Through France and Belgium he eventually arrived in the Netherlands, in Valkenburg. 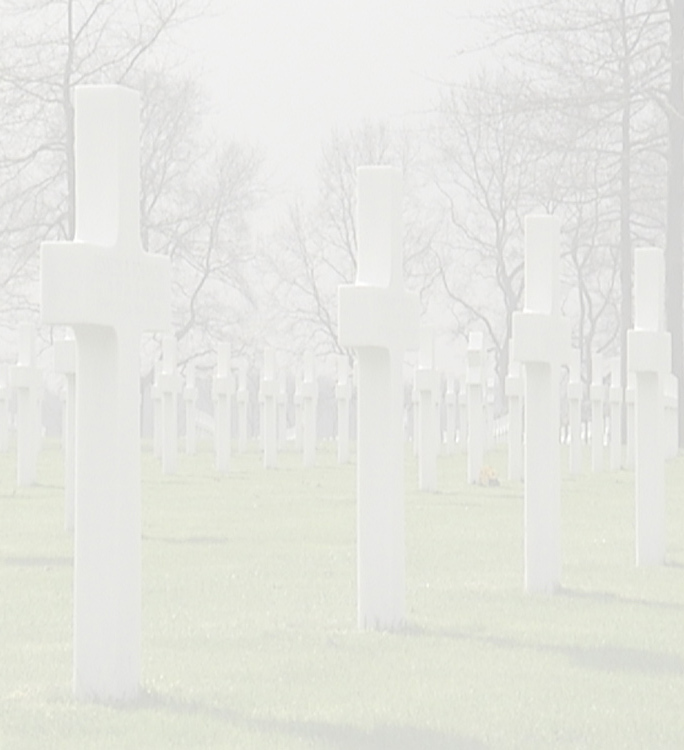 Well, through the Liberation Child history, Maggy's American father and Andre's interest in WWII, we decided to adopt two graves at the Netherlands American Cemetery at Margraten. One of these fallen U.S. soldiers is Pfc. 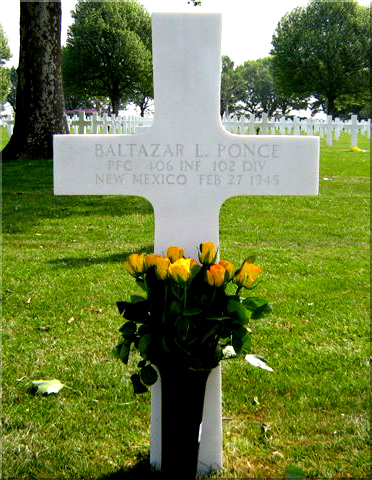 Baltazar L. Ponce from New Mexico who served with the 406th Infantry Regiment, 102nd Infantry Division. In the picture at the left below you can see who Baltazar Ponce was. We got to know him better since we learned a lot about him. His story will appear soon at the stories section of this website. There is little we know about Pfc. 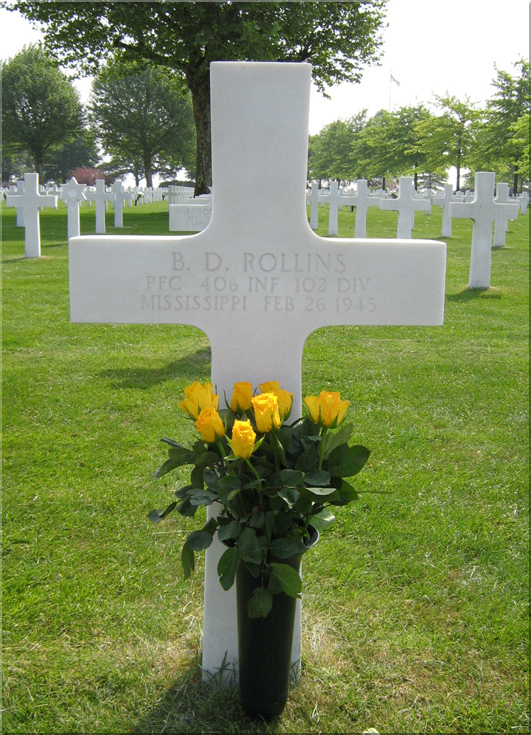 B. D. Rollins, from Monroe County, Mississippi. 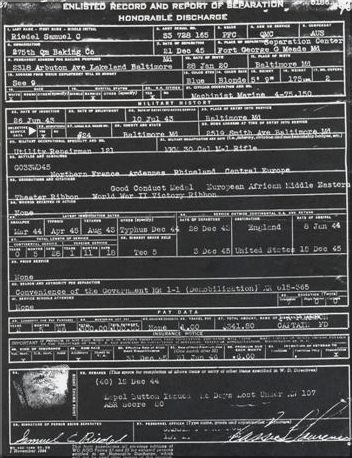 He also served with the 406th Infantry Regiment, 102nd Infantry Division. But we hope to find out more about him soon.